Education Graduated from Seethalakshmi Ramaswami College, Tiruchirapalli & M. Phil in International Studies from Jawaharlal Nehru University, New Delhi. Nirmala Sitharaman is an Indian politician belonging to the Bharatiya Janata Party (BJP). Sitharaman is currently the Minister of Defence in the Narendra Modi-led NDA cabinet. Nirmala Sitharaman was born to a middle-class family in Tiruchirapalli in Tamil Nadu on August 18, 1959. Her father worked in the Railways while her mother was a homemaker and a great lover of books. She has her father's disciplinary nature and her mother's love for books. She spent her childhood in different parts of Tamil Nadu as her father's job was transferable. Thus, travelling and being adaptive came naturally to her. She completed her graduation from Seethalakshmi Ramasamy College, Tiruchirappalli and obtained her masters from Jawaharlal Nehru University, Delhi. Her favourite subject was globalisation and its impact on developing countries. It is this that led her to become the Commerce Minister of the Indian government. She married Parakala Prabhakar in 1986 and the couple moved to London. 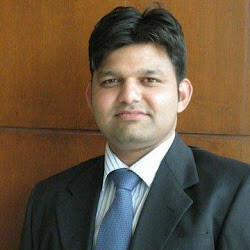 Sitharaman succeeded in the corporate world there but finally came back to India in 1991. The couple is blessed with a daughter. A stern articulator, Nirmala was one of the spokespersons of BJP under Ravi Shankar Prasad. Even though her husband and his family was pro-Congress, Sitharaman joined the BJP in 2006. In keeping with her accomplishments in London, she climbed up the ladder of success within the BJP as well and occupied several important positions in the party. In 2010, during the tenure of Nitin Gadkari, she was appointed as the spokesperson of the party. After assuming the role of the party's spokesperson, she defended the BJP in every situation and praised party leaders including Modi, on the national media. She became a popular face not only in Delhi but also in the party headquarters in Gujarat. Sitharaman came in touch with senior BJP leader Sushma Swaraj while serving as member of the National Commission for Women (NCW) from 2003 to 2005. Impressed with her dignified personality and outspoken views, Swaraj recommended Sitharaman to the party. She was also appointed as the member of Rajya Sabha from Andhra Pradesh. The seat was left vacant after the death of Nedurumalli Janardhan Reddy. The Telugu Desam Party (TDP), the major alliance partner of the BJP, offered the seat to Sitharaman. She is currently the Rajya Sabha MP representing Karnataka. Known for her cordial approach, she played a major role during the Lok Sabha elections of 2014. She projected Narendra Modi as a future prime minister of India. It was believed that her hard work and dedication would surely get her a place in Modi's cabinet. Finally, in May 2014, she got the ministerial berth. While addressing the issues of Companies Act, 2013 recently, she said that the amendments in the Act are not mandatory if the stakeholders are satisfied with the changes in the rules. Recalling her life she says, “I envy the girl I once was. Best advice I ever received? Always choose the middle path and try to maintain equanimity. In other words, never go to any extreme - don't be too suppliant because you will lose your dignity nor be too overconfident and aggressive or you will eventually lose your ground. Remain balanced. That way you can never fall too far." Belonging to a South Indian family, Nirmala is aware of her shortcoming in Hindi. But after spending so many years in the political sphere, she has managed to gain proficiency in the language. A prolific reader, she writes the press releases on her own. She is careful to properly edit any conversation of the party that goes to media. She is a lover of classical music and has a collection of Lord Krishna's songs. To maintain a balance between personal and professional life, she feels what is most important is the support of the family. She is also one of the founding directors of Pranava School in Hyderabad. She joined BJP in 2006 and was appointed as the national executive. Nirmala was the member of NCW from 2003 to 2005. In 2010, she was elected as the party's spokesperson. 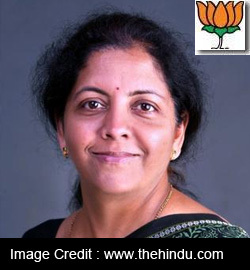 Nirmala Sitharaman became the Minister of State (Independent Charge) for Ministry of Commerce & Industry on May 26, 2014. Nirmala Sitharaman became the Minister of Defence on Sept 03, 2017.